Peabody senior forward Bobby Caproni, right, gets run into the boards by Beverly junior forward John Graham (8) as they fight for the puck during the second period of play at the Rockett Arena at Salem State University on Wednesday afternoon. 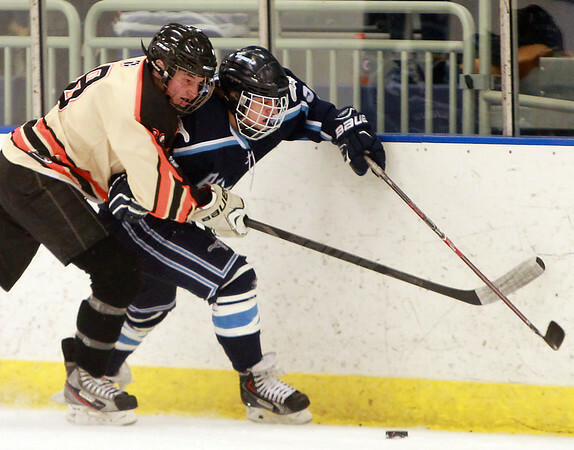 The Tanners bested the Panthers 3-2 in NEC hockey action. DAVID LE/Staff photo. 1/14/15.